This pleasant weekend we got to see our mom and celebrate the 100th birthday of our grandma, which was nice. There were small children there and when you made faces at them they either looked confused or they made the same face back which is pretty much all we ask for out of a social gathering! Also hey guess what we’re making cookies for Nerd Nite NoHo tomorrow! We’re doing a bake-sale/charity drive again and they’re going to be as always extremely good and you’re going to love them. Nerd Nite is to reiterate tomorrow at 7:00pm to 9:00pm and it’ll be a blast as always! Wesley Olds will be speaking about weather forecasting and Adam Marks will talk about song mash-ups! Come say hi at the door! 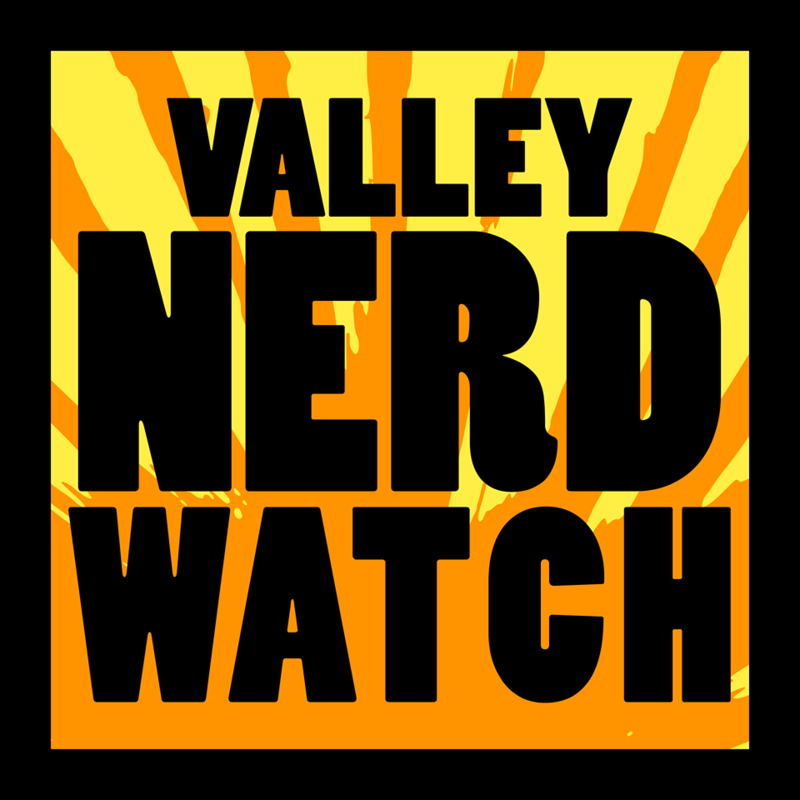 If you tell us you enjoy the Nerd Watch we’ll be extremely excited! Local presenter extraordinaire Barry “the Presenter” Deitz will speak on Thoreau, his life, and his works! Learn more about a person who really made a heck of an impact pretty much describing how nice the Valley is to people for a large bit of his life. We think. Look don’t spread this around but we’re pretty sure we’ve never read a single word Thoreau wrote and it’s making us feel a bit embarrassed. Visit the museum for free! Crafts, tours, scavenger hunts, and more! Bring your family and hang out at the library! Games, puzzles, all sorts of projects for families to do together! And if you find that your family is getting large and unwieldy just play like a 7-player game of Risk and someone will definitely estrange themselves. A family is riven by secrets and forced to pit love against loyalty! Isma has finally started pursuing her dreams, but she can’t stop worrying about her sister Aneeka or her brother Parvaiz. Then, Eamonn enters the picture… is he a chance at love? A chance to help Parvaiz? What sacrifices will Isma make for love? Technology is a cruel mistress that each day claws at us. Fight back against the spiraling confusion of technological influence in your life by taking this class by Rita Gavelis and learn about how to explore and learn about tablets and get great tips about figuring out how to fix them when they cease to work! If you love Drupal, dopal yourself a favor and attend this event! Learn the tip of the month, the module of the month, hear some lightning talks, and then listen to the presentation “Using Patternlab with Drupal!” It’s a great chance to get better at the Drupal you knowpal and lovepal! Nerd Nite! The nitiest nite we know. It’s going to get extremely wonderful in there as we learn from Wesley Olds why our weather forecasts aren’t down to the second, and from everyone’s favorite Adam Marks how to make music mashups! Watch anime! Watch one about sports! There’s a bunch of neat sports-related anime we think. There’s not a ton of sports-related serial media that we’re aware of in non-animated media. Friday Night Lights? That’s the one we know. We don’t know a lot about anime or sports, so learn for us! Herrell’s will bring the On the MOOOve get it like a cow haha ice cream trailer! The Florence Community Band will be there! You’ll eat ice cream! You can get a nice membership discount! Do you love graphic novels and are you 12-17 years old? Come speak with other people who love graphic novels and are 12-17 years old! We personally really liked reading the first volume of Usagi Yojimbo recently, as well as Womanthology: Space! There are a ton of wonderful things out there for you to read and share and use as inspiration for your own creations! A dramatic comedy or ‘Comatic’ as everyone says film about an old Jewish baker and his new assistant, a Muslim teenager. They grow to become unlikely friends as the teen navigates the difficulties of life as an immigrant. RPGs are great! Play Noirlandia, or Questlandia, or Dread, or Monsterhearts, or Apocalypse World, or Dogs in the Vineyard, or One Thousand and One Nights, or Breaking the Ice or any of a lot of amazing games created right here in this Valley! They’re all very good!